Pharma Marketing Blog: The Problem with Unregulated "Calculator" Apps for Physicians: Buggy Software! At this year's ePharma Summit in New York, I spent a lot of time listening to presentations about pharma mobile apps. There was, for example, a session entitled "I Wish I'd Done That! Mobile" during which panel members reviewed mobile applications they liked but that were produced by rival pharma companies. Surprisingly, although at least one panel member -- Jason Appel, Director, Physician Relationship Marketing, Amgen -- was involved in creating mobile apps for physicians, only consumer-oriented apps were featured. Appel said he hasn’t seen any mobile physician apps that he wished he had done and agreed with a previous presenter that most were a waste of money. But of the literally hundreds of apps created by pharmaceutical companies, many are for healthcare professionals. Practically every pharmaceutical company has one or more apps. The ones I am interested in are apps designed to help doctors in their diagnosis of patients. Big among these are the "calculator" apps, which calculate things such as glomerular filtration rate (GFR), Medication Adherence Rating Scale (MARS), Delayed Graft Function (DGF) Risk, creatinine clearance, dosing algorithms, Body Mass Index (BMI), and, my favorite, Psoriasis Area and Severity Index (PASI). According to POCKET.MD, the most downloaded app is Pfizer's "Pfizer Rheumatology Calculator" - a rheumatology disease activity calculator that Pfizer developed to allow physicians to "quickly and easily measure the disease activity of your patients without having to use manual calculations. The calculator is easy to use -- simply enter clinical data for your patient into the calculator and it will instantly provide you with the score in a variety of disease activity measures, including: ASDAS ESR & CRP BASDAI DAS28 ESR & CRP PASI And more..."
Unfortunately, this free Pfizer app is no longer available -- it had to be recalled because of "a bug in the app ... gives wrong results" (see "Pfizer recalls Rheumatology Calculator smartphone App"). Back in July, 2011, I warned that bugs in such apps could go un-noticed because there is no independent verification of the software -- no "Good App Seal of Approval" and certainly no FDA approval. See "Checking Under the Hood of Pharma Mobile Apps" where I point out this shortcoming in another PASI calculator mobile app. But how do you recall a smartphone app? You can remove the app from the app stores around the world, which is what Pfizer did, but that only prevents new downloads. Most apps are downloaded to smartphones and it is not possible for the developer to remove these copies of the app from the phones. The users must do that. 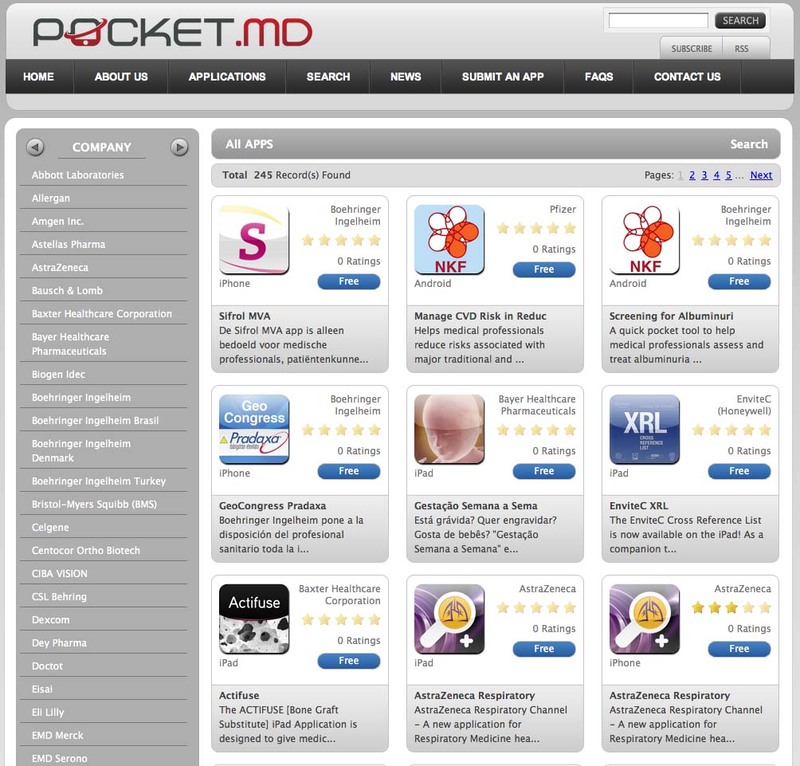 Considering that the "recalled" Pfizer app was the most downloaded app tracked by POCKET.MD, there must be many many users (physicians) out there who still have the app on their phones. Did Pfizer send these physicians a "Dear Doctor" letter informing them of the problem and advising them to remove the app from their phones? Probably not. 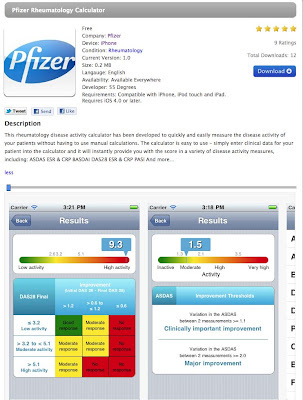 Did the app include a disclaimer that protects Pfizer from being responsible for misdiagnoses due to its buggy app? Probably yes. I cover that is the article "Everything You Need to Know About Mobile Platforms": http://www.pharma-mkting.com/news/pmn1016-article01.htm Use code 'bomiFREE' to get it free! Actually, in the iOS world, the App Store does have the power (though it has rarely been used) to delete apps from your iPhone or iPad. Or release an update that warns the user about the bug and then disables the app. That's not rocket science though it might piss off physicians who had depended on the tool. Apple can also invalidate the cert used to sign the app, and it will stop working in 7 days. Bruce is correct. There is a way to delete apps, but from what I understand trying to recover if/when you'd like to depends on how you originally gleaned it. Mine usually come to my phone thru iTunes and I just had a scenario where I had to delete pretty much everything. But just by going back to iTunes I could recover.